Welcome to Club Fushigi Yuugi! Forum updates and rules will be placed here only. Come talk about the one that started it all, The Mysterious Play -- Suzaku and Seiryu. Who were your favorites. Did you like the whole Miaka and Tamahome hook up? How about that dub? Express your opinions in here! The amazing prequel to Fushigi Yuugi the mysterious play! Follow the original tale of the very first priestess of the Universe of the four gods, Takiko Okuda the priestess of Genbu! All discussion of Genbu related things should be in this area. 3 15 Who is your favorite Genbu Seven Warrior? The newest story as of 2017. It tells the tale of the second priestess to enter the book. Suzuno Osugi, the Priestess of Byakko. All things related to the story of Byakko should be in here. 5 67 Who is your favorite Byakko Seven Warrior? 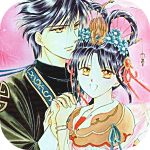 Come here to share and discuss all the Fushigi Yuugi merchandise you have or have seen! Anything from soundtracks to plushies or even artbooks! 1 6 Which game do you prefer? Are you a true blue Yuu Watase fan? If so come here to talk about her other works such as Zettai Karashi, Alice 19th, Imadoki, Ceres, and more. Just remember to keep all Fushigi Yuugi stuff in the proper boards. Anything none related to Fushigi yuugi. Like daily life. News, TV, music, etc. 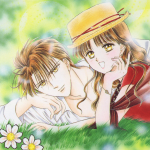 Feel free to share your Fushigi Yuugi related artwork inside here. I'm sure we'd all love to see it! 1 3 New english cover! Have you written a story related to Fushigi Yuugi ? Or perhaps stumbled up on when doing some daily reading? If so this is the place to share it. Are you a graphics maker and want to share some icons, blinkies, or banners? This is the place to do it.